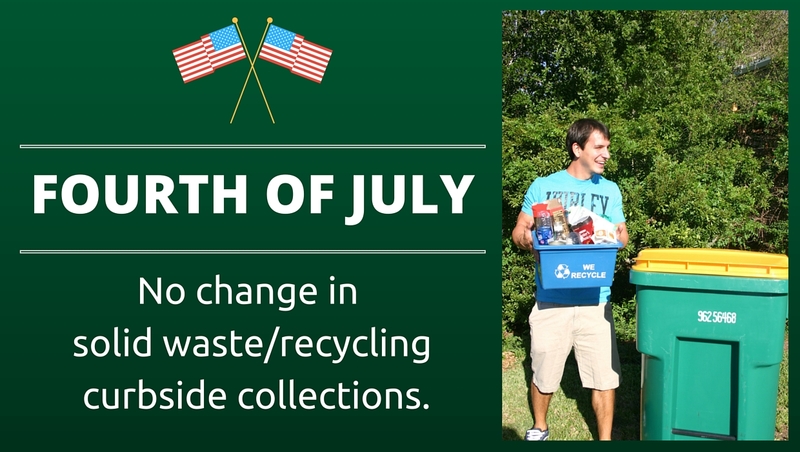 Residents are reminded that there will be no interruption or delay of solid waste services over the Fourth of July holiday. Waste Management will provide curbside pickup of trash, recycling and yard trimmings to all residents on their regularly scheduled service day, including Tuesday, July 4, 2017. Per the Holiday Collection Schedule, the only holidays that will affect residential trash and recycling collection this year (2017) will be Thanksgiving Day and Christmas Day. ← Not your everyday house mosquito! I think that Waste Management should give their employees the day off on July 4, 2017! Most of their customers will have the holiday off. Most customers would not mind not having trash pick up on this and other major holidays.